I was reflecting on the different voices that I hear in 19th and 20th century German-English hybrid organs and, with an idea planted by Taylor, came up with different forest animals and people to represent them. If anyone has any used pipe organs/parts, I might be interested. Thanks! One thing that I noticed about the organ building industry is that a lot of terminology is somewhat inaccessible to the common person. I’m here to try and remedy that. The 33 stop, 17 rank organ I’ve been working on I’ve named the Schumacher Opus 1. I’ve come up with a stoplist for a smaller one-manual 7 stop, 4 rank organ that I’m going to designate the Schumacher Opus 2. I got a chance to sit down and play (ha-ha) an organ other than the one at church. It sounded GREAT! Then I got to see what made it sound so great. Entire ROOMS and floors of the building filled with pipes, miles of pneumatic relay tubing, and 3 massive 65hp blowers. 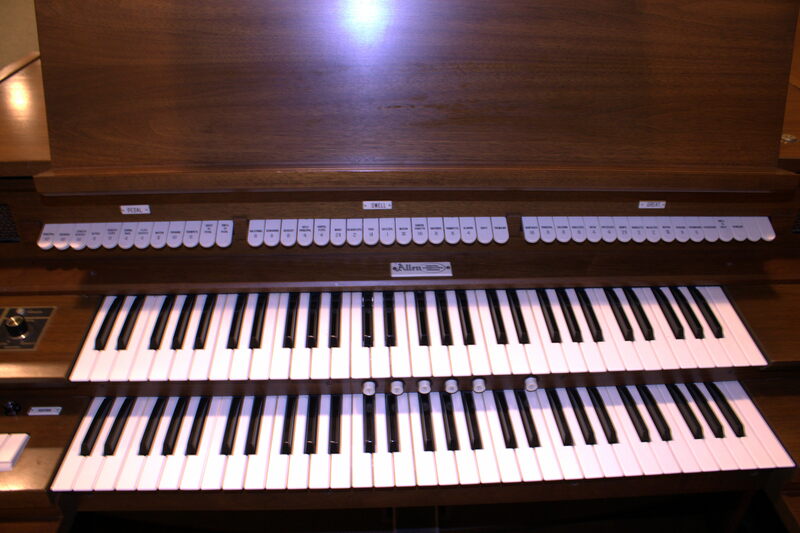 It helped me understand that the one at church is MUCH closer to what I’m going to be looking at for a residence organ. Corners are cut, definitions are bent, and distinctions are blurred. 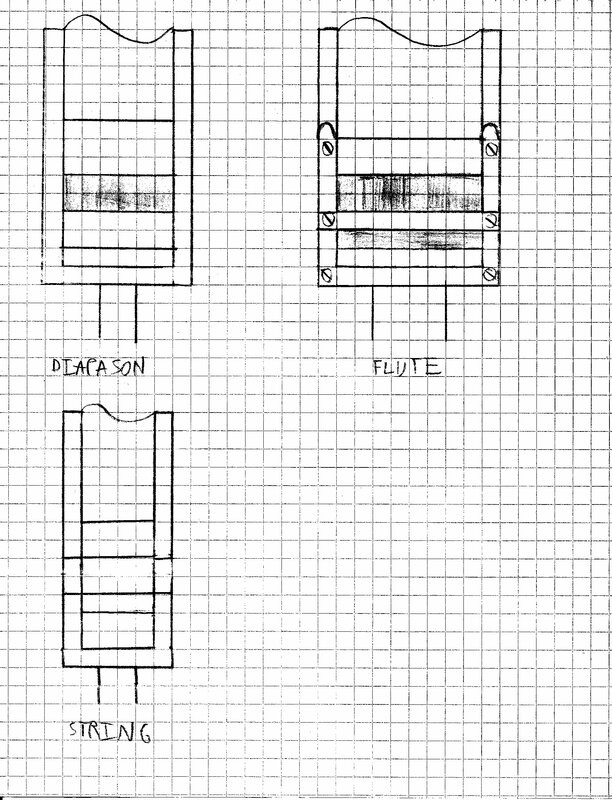 I finally sat down to sketch out the designs for the three types of organ pipes I’ll be building on graph paper. Diapasons have simple mouths – a 10 degree upper lip over a 15 degree lower lip. Flutes have ears – faceplates that stick out on either side of the mouth which ensures prompt speech with a 10 degree upper lip over a flat lower lip. Strings have beards – wooden dowels placed in front of the mouth that slows speech over a 10 degree upper lip over a 15 degree lower lip. 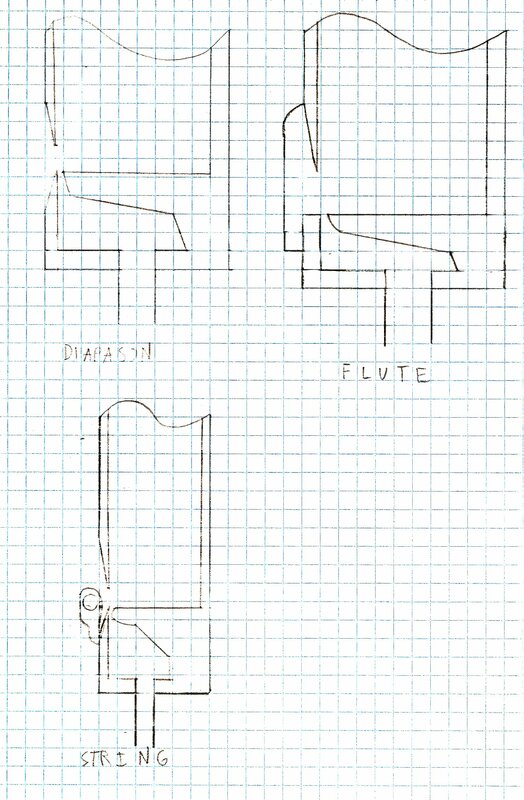 The languids are all different shapes – diapasons have angular windways while flutes have slightly rounded windways. Strings have fully rounded windways.